Click a photo for a full sized image. 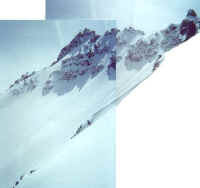 Broadband users click here for the full sized page. 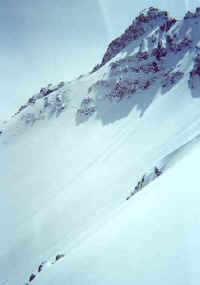 Images Copyright© 2002-2006 by Tom Michaelis. 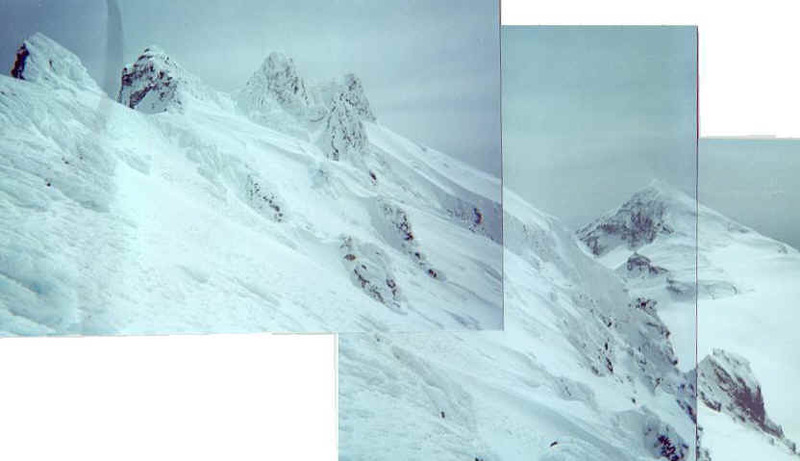 Note: All of the interesting images on this page were given to me by my friend Tom Michaelis. 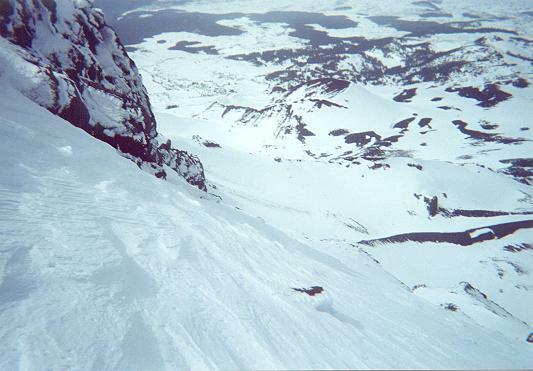 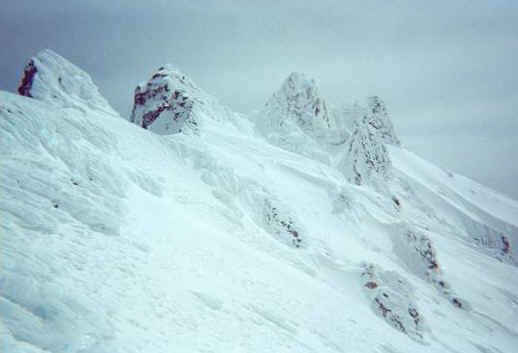 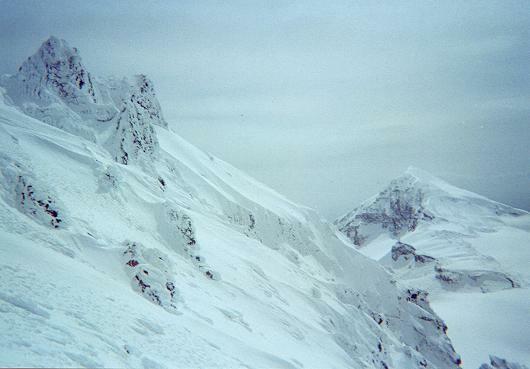 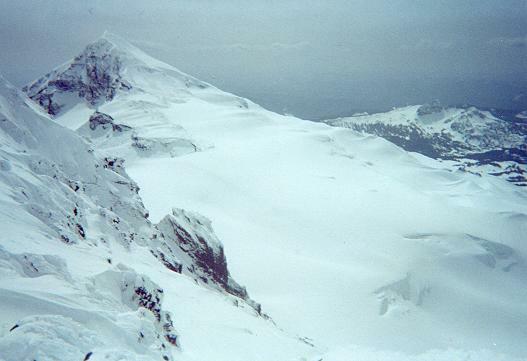 They were taken on film in February 2001 on one of his winter solo attempts on North Sister, the most difficult and dangerous of the Three Sisters Wilderness peaks, located very near Bend, Oregon. 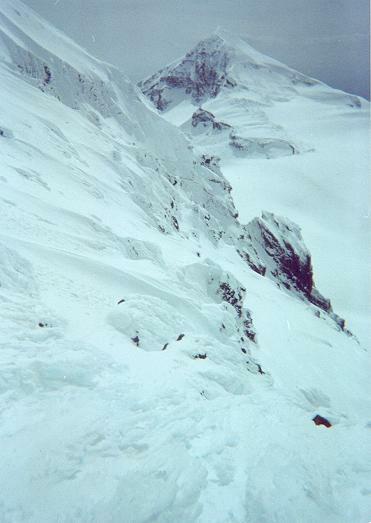 Tom used his snow machine to gain legal non-wilderness access to the North Ridge of the Peak, then made a light and fast snow shoe and crampon and ice axe ascent but was thwarted that day by fragile ice at the summit.